Atlanta’s Kenny Leon directed the remake of “Steel Magnolias,” which is set to air this fall on Lifetime. The modern version, which filmed in Atlanta earlier this year, stars Queen Latifah as M’Lynn, the role Sally Field played in the original film. 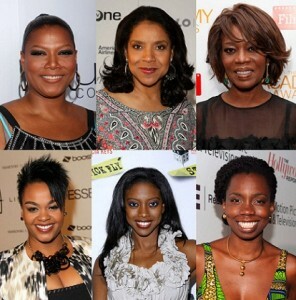 Alfre Woodard plays Ouiser (as Shirley MacLaine did in the original), Phylicia Rashad plays Clairee (Olympia Dukakis in the original film), Jill Scott plays Truvy (Dolly Parton’s former role), Adepero Oduye plays Annelle(Daryl Hannah in the original film) and Condola Rashad stars as Shelby (Julia Roberts in the original film). Here’s an early look at the project. How do you think it will stack up against the original? Posted on August 14, 2012, in So Random! and tagged Adepero Oduye, Alfre Woodard, Condola Rashad, Jill Scott, Lifetime Television, movie, Phylicia Rashad, Queen Latifah, Steel Magnolia's. Bookmark the permalink. Leave a comment.